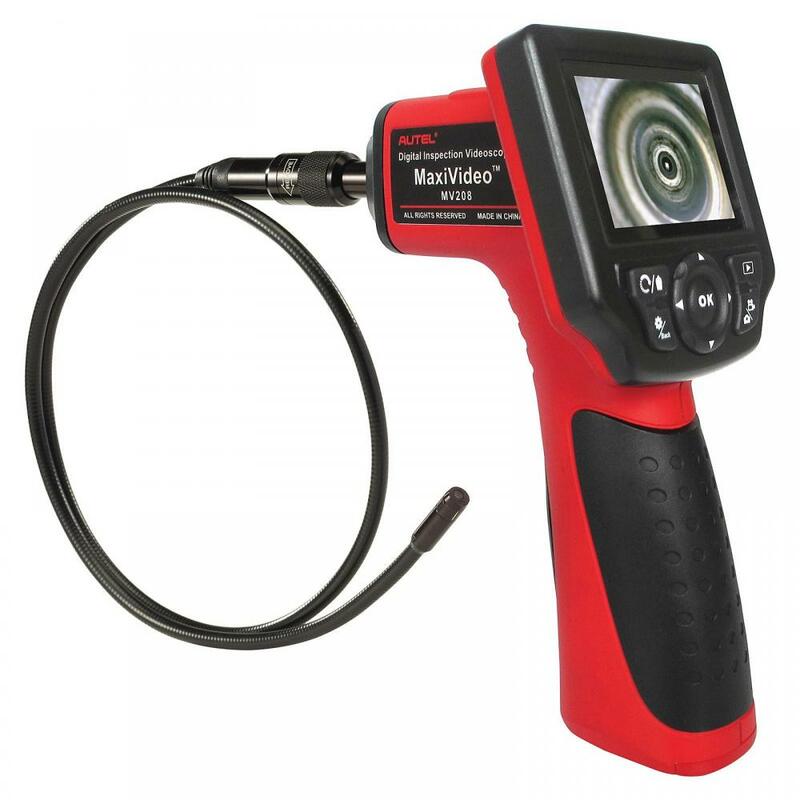 The video inspection scope goes beyond vehicle inspection and can be used for applications in and outside of the car. View inside door panel or other limited access and poorly lit areas of your vehicle. Save time by not having to remove tire or engine components to inspect, retrieve, move, and help find items in hard to reach, compact spaces. Magnet - attach the magnet to the end of camera to find items that may have fallen in the vehicle engine compartment or cylinders. For example, use the magnet to locate and retrieve screws or bolts that fell within the engine compartment and cannot be reached by hand. Locate and retrieve metal particles that may have fallen in the cylinder. Hook Clip - attach the hook clip to the end of camera to retrieve non-magnetic or other small items that may have fallen in the vehicle engine compartment. Move hard to reach wires or cables. Camera helps guide the user to the problem area. Mirror - attach the mirror to the end of the camera to provide right angle views with 180 degree view change option. For example, use the mirror to inspect all angles within a cylinder. Imager head: 5.5mm (0.22″) is optional. Looking for ideal Digital Videoscope for Car Checking Manufacturer & supplier ? We have a wide selection at great prices to help you get creative. All the Vehicle Inspection Camera are quality guaranteed. We are China Origin Factory of Automotive Borescope for Mechanic. If you have any question, please feel free to contact us.